Extroverts often get a hard wrap. 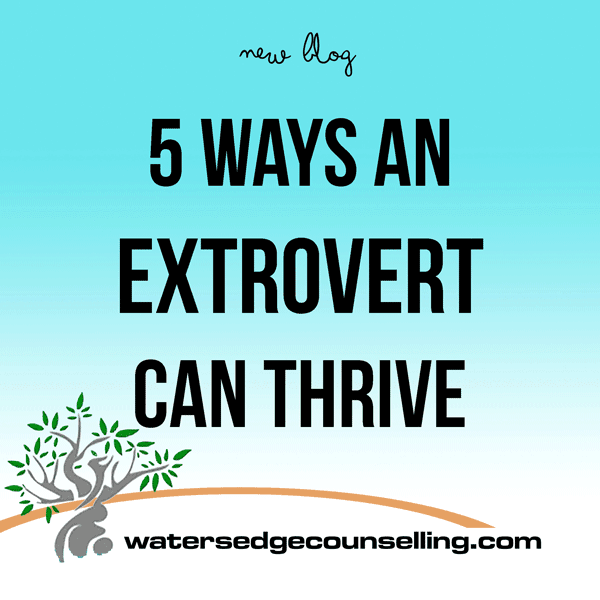 They are exuberant and outgoing, and when this is not managed it can leave other people (especially introverts!) feeling bulldozed and drained off all their energy. That being said, extroverts are movers and shakers; the life of the party and the welcoming arm to the new person who just walked through the door. As much as introverts don’t like to admit it (myself included), we need you. We need you to fill in the gaps of awkward conversation and to ask questions. We need you to invite us along to social events, so we have the opportunity to do life with other people. And we need you as friends, because as awesome as introverts are, we can’t manage other extroverts on our own. When an extrovert is healthy, they are some of the truest and most honest friends you’ll come across. But unlike the introvert, their unhealthy tendencies can be harder to spot. Struggles, depleted energy and overwhelming emotion will be covered by their trademark exuberance, and unlike the introvert who will get lost in the thought process of the situation, an extrovert will become consumed in the rollercoaster of behaviour and noise that leads them to burn out. When an extrovert is healthy, they are some of the truest and most honest friends you’ll come across. When you’re the life of the party, people often assume that you’ll always be available and willing to help out. They will expect you to attend events or ask you to step into a leadership position because they know you can get the job done. True as that may be, it’s essential you know when to say “no.” While an extrovert gets their energy from being with people, they can still become exhausted, so prioritise the activities most important to you. Extroverts can leave a bad taste in the mouth of others when they lack self awareness. In this, they will over step the boundaries of conversation, volume (that’s a big one! ), physical interaction and tone of voice. Remember, you don’t always come off the way you mean too, so observe people’s body language as you talk to them. Notice if they shut down and stop talking, if they shy away from touch, or if they make a quick exit. You don’t have to change your natural demeanour, but to cultivate healthy relationships you do need to practice a respect and awareness for the people around you. As an extrovert, you have the tendency to give until there’s no energy left in the tank. In order to gain energy from other people, you need to make sure your relationships are life giving. Spend quality time with people who you can relax with, who understand you and who leave you feeling empowered. Some people drain us and others leave us feeling like we’re on top of the world, focus on the latter. While ‘quiet time’ can be pegged as an introverted activity, it is still essential for the wellbeing of an extrovert. Granted, you won’t need this as much as an introvert, but there are times when you will just need to be alone. Sit, write down your thoughts and make sense of what is going on around you, go for a jog or watch a movie. Don’t be afraid of the quiet, embrace it. After all, you can always go and spend time with friends after, right? An extrovert will often find their self-worth in the praise of others. People’s responses to you, their willingness to invite you to social events and even the level of attention they give you can all play a role in your self-esteem. Remember that while you crave time with people, they don’t dictate your self-worth. You can’t be “too extroverted” and you can’t be too quiet. You are just you, and as you take care of yourself you will find that the important people will be naturally drawn to you for who you are, not for what you can give to them. Are you an extrovert? Do you want to thrive? Then here’s what you need to do: contact Colleen on 0434 337 245 for a FREE 10-minute phone consultation on how she can best help you, or press book now to book on the online diary.